This particular tour will start and lead you to the most beautiful beaches surrounding Koh Samui while you will enjoy a served voluminous breakfast. 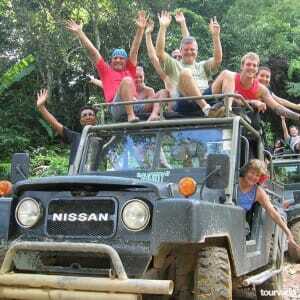 We will be travelling around Samui because the aim of this tour is to bring you to discover all famous Samui’s pristine beaches, for example Lamai beach, Choeng Mon, Taling Ngam, Lipa Noi, plus we will show you more secret and unspoiled beaches, some hide aways spots, the amazing Five Island, Koh Tan, and travelling around we will also see other Virgin Islands. Lunch time come and you will enjoy a great Traditional Thai Lunch Buffet with barbecue on board. After all you can always just relax onboard on the huge comfortable sun deck, always available refreshing drinks, a glass of wine, a Cocktail if you wish. Enjoy snorkeling too in the clear waters where you can be surrounded by fishes. On board this traditional Red Baron you can access also our great cigar Box which you can appreciate together with a good glass of cognac or whisky. 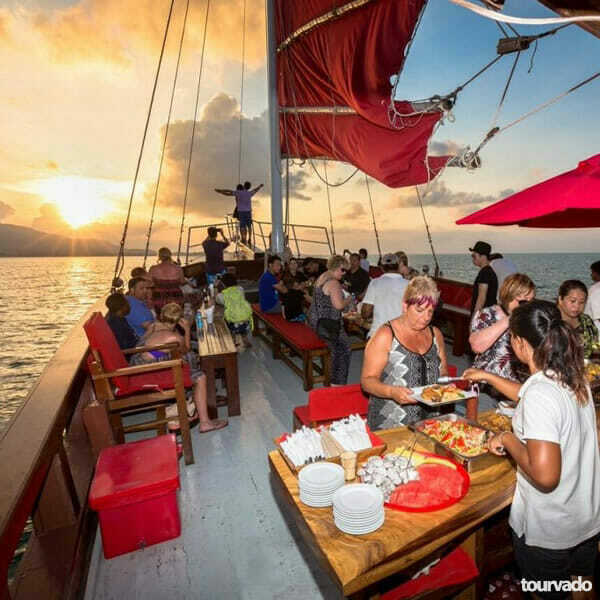 Red Baron Junk Sailing Tour in Koh Samui is an interesting tour where you are conveyed in the beautiful sailing junk yacht. This yacht is referred to as the Red Baron. 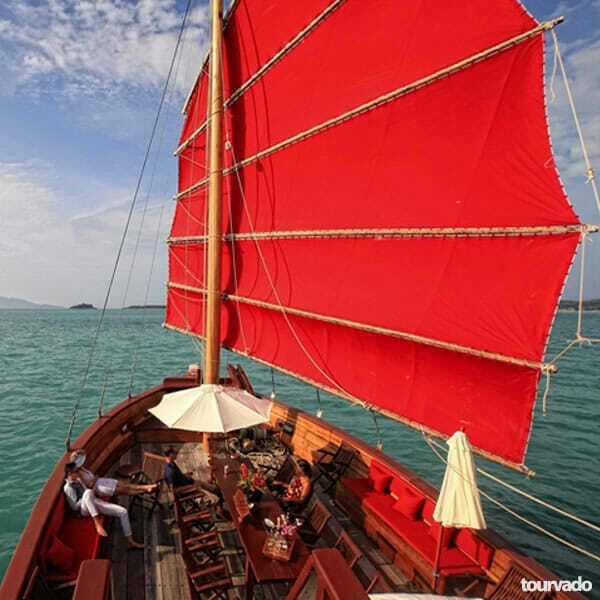 It is a brand new traditional Sailing Junk Yacht that was built by the famous Ship Yard Pernor in Suratthani. 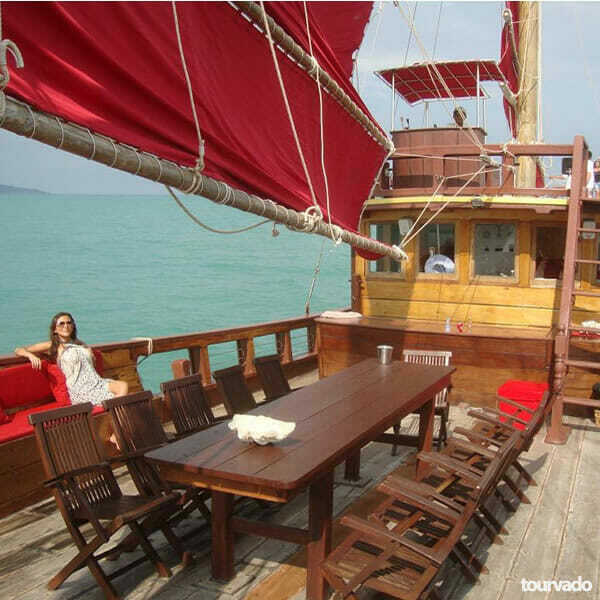 It is made from Takien Tong, a very hard and strong wood and it is the biggest Sailing Yacht in the Gulf of Thailand. Being the largest yacht in Koh Samui available for day cruises, Red Baron is the choice for people who just want a comfortable and relaxed sail on a stable vessel. With 30 m in length, 6.5 m width and weighing 54 tons, her functional sails will provide shade while sipping a cocktail at the bar and not make the boat heel over like the average monohull sailing yacht which uses the wind to move forward. 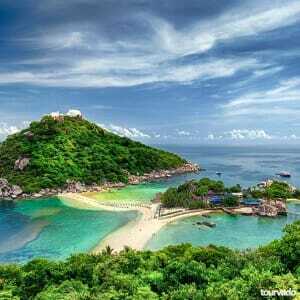 On it, you sail toward neighboring islands like Ko Som or Ko Pha Ngan. 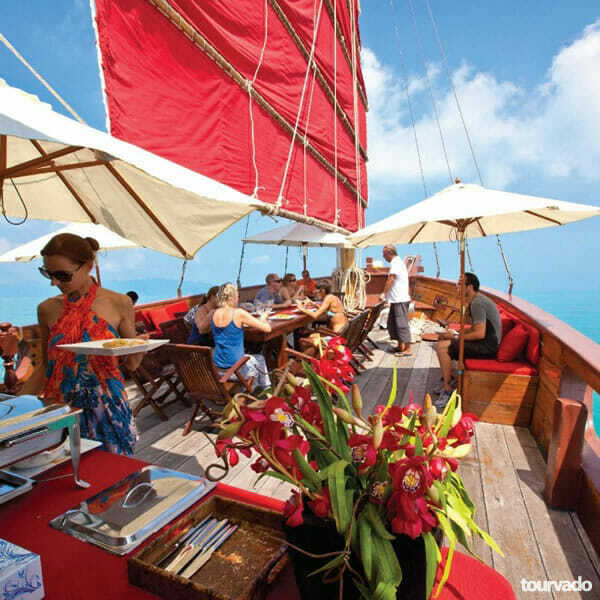 Stop for a buffet meal of traditional Thai dishes amid the marvelous island ambiance. Snorkel and swim in the welcoming blue waters as your boat makes the occasional stop over spectacular corals and marine life and continue your relaxing cruise and pass harmonious vistas before heading back to your hotel. 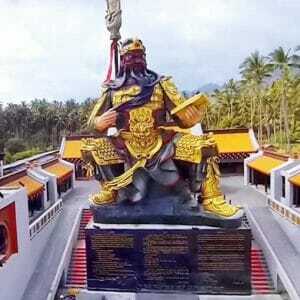 Usually included in this itinerary is transfer from your accommodation on samui, on board dinner buffet and lots more. With Red Baron Junk Sailing tour, you enjoy the hidden beaches, waterfalls and lush green jungle of koh samui. You will also get to snorkel the clear water with myriads of fish surrounding you. The Red Baron Junk Sailing Yacht could easy serve about 100 passengers with convenience and maximum comfort. Tourists will be impressed with the space on the yacht. 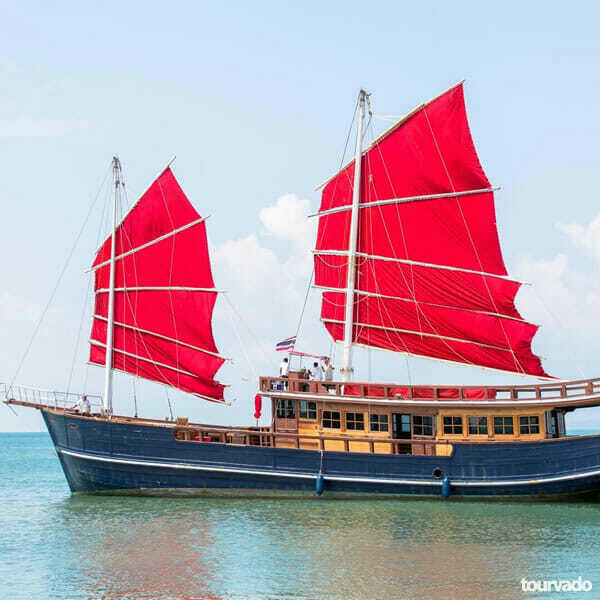 Characteristic and most impressive are the twin mast and huge traditional Thai style sails on this Yacht is beautiful and very functional. 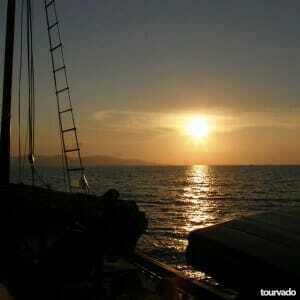 The yacht has full snorkeling equipment with maximum Speed of 12 knots and cruise speed of 6 knots.